Our team of expert education consultants aims to help students with the entire process of their application for admission and student visa for their preferred study destination anywhere around the globe. Our trained student consultants give professional advice to students on selecting the most suitable study program based on their personal interests, prior education, budgets and prospects of student visa approval. Once the course is selected, we provide further assistance with accurate compilation of required documents and completion of the necessary application forms and evidences to be submitted to secure offer letters from the institutions and get the student visa within due time with higher chances of approval. Our consultants at AINiT work closely with the staff of admissions at our partner institutions and help resolve all sorts of queries for our students. We provide services to students to help them in gaining credits for their prior equivalent educational qualifications. 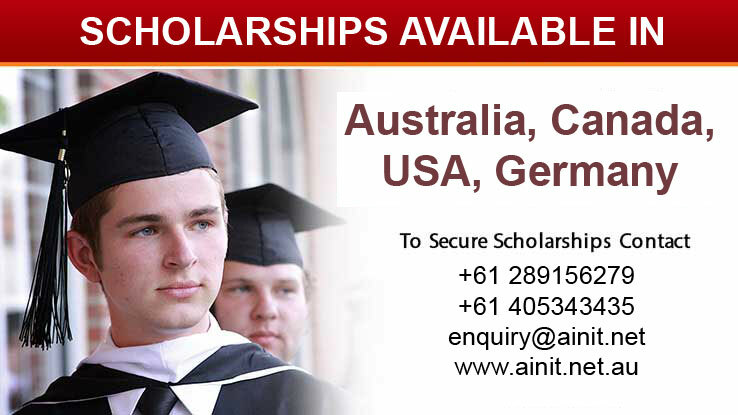 Students applying through AINIT can also avail valuable scholarships, application fee waiver and get on spot admission offers* from our partner institutions. Through its continued commitment and diligence, AINiT has helped scores of students to select career oriented courses and move ahead on their way to success with quality education and advanced career opportunities.